The Chicago Cubs have made a big splash in Free Agency once again this year. Yu Darvish is a top of the rotation type of pitcher that they Cubs sorely needed after deciding that Jake Arrieta would move on to another team. The Cubs once again have a wonderful starting pitching staff and look poised to win another Division Championship as they continue their pursuit of another World Series Championship. 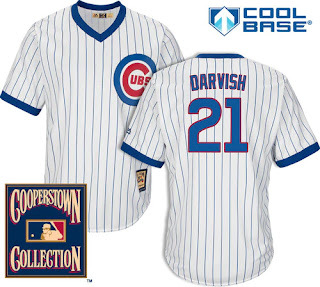 Yu Darvish Chicago Cubs jerseys are available in replica as well as authentic. They are available in home white as well as road gray. Yu Darvish Cub jerseys are available in S, M, L, XL, XXL (2X), 3XL (3X), and 4XL (4X).. If you would like 5X, 6X, XT (XLT), 2XT (2XLT), 3XT (3XLT), 4XT (4XLT), or 5XT (5XLT) you can opt for the customized Cub jerseys that you can add Darvish's name and number to the jersey. MLB Fan Shops - This company is an official supplier of MLB jerseys so you can be rest assured that your uniform is the real deal and not some cheap counterfeit jersey made from inferior materials that won't last. You can choose Yu Darvish Cub jerseys in the form of Majestic replica's or customized Cub jerseys. The replica player jersey is available in the home white uniform colors. If you want the blue or gray Cubs jersey you should choose one of the customized jerseys and then select Darvish's name and number. Cub jerseys available in - S, M, L, XL, XXL (2X), 3XL (3X), 4XL (4X), 5XL (5X), 6XL (6X), XT (XLT), 2XT (2XLT), 3XT (3XLT), 4XT (4XLT), and 5XT (5XLT). Note : Immediately after the signing Darvish jerseys are only available in sizes up to 4X. Hopefully, the larger big and tall sizes have been added. 5X, 6X and XLT Cub tee shirts, hoodies, jackets etc... are also available if that interests you. Fans Edge Sports - This company also carries a huge selection of Chicago Cub jerseys including the brand new Yu Darvish Chicago Cub's Jersey. Wrigley Field will be rocking with their new ace pitcher on the mound. What we like especially about Fans Edge Sports is their "out of this world" 365 day return policy.. This takes all the pressure off if you want to get a Darvish jersey now and save it for a gift (when the Cubs make the World Series perhaps???). As long as the jersey is returned in an unused condition, you will receive a full refund with no questions asked. Shipping fee - $4.99 flat rate shipping fee. Many times they offer FREE shipping if you spend over $30, so jerseys will always score you some free shipping.. We also recommend checking out their cheap clearance sales section. You can always find some discounted Cubs team apparel 12 months out of the year. Women's Cubs apparel available in - XS, S, M, Plus M, L, Plus L, XL, 1X, Classic Fit 2X, Plus Fit 2X, Classic Fit 3X, Plus Fit 3X, Plus 4X. Adam Thielen jerseys have been hot and for good reason. While Thielen has always been a talented wide receiver, he has since taken his game to another level and is putting up the type of numbers that of a #1 go to receiver. He has been a top selling Minnesota Viking jerseys, but finding a Thielen Jersey in big and tall sizes can be difficult. 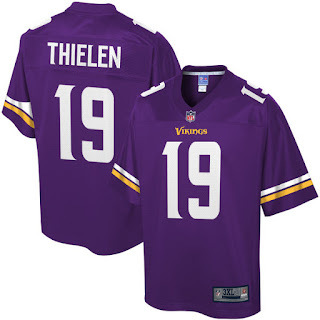 Fortunately there are several name brand manufacturers who sell Adam Thielen Jerseys in S-2X, 3X (3XL), 4X (4XL), 5X (5XL), 6X (6XL), XT (XLT), 2XT (2XLT), 3XT (3XLT), 4XT (4XLT), and 5XT (5XLT). The Minnesota Vikings were seeking a top receiver to rise to the top and help lead this team to a Super Bowl Championship! Cheer on Thielen and the Vikings run to the playoffs with some officially licensed name brand gear. International delivery - Yes, they ship to 100+ countries. Shipping fee - $4.99 flat rate fee for most orders. However, they often offer free shipping if you spend more than $40. NFL Fan Shops - If you are needing extended long tall XLT-5XT Adam Thielen Viking's jerseys then you should choose NFL Fan Shops because they are the only online retailer who has an exclusive contract with Pro Line Jerseys and they are who carry the XLT-5XLT sizes. 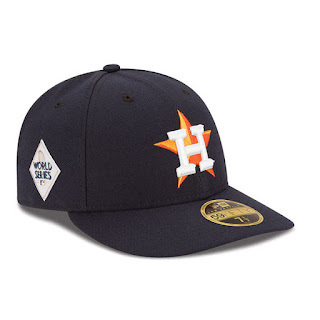 The Houston Astros World Series Hat shown above is a fitted hat and comes as either a curved or flat bill. 2017 World Series logo (Several styles available)..
Where can you purchase Astros World Series hats? There are several places where you can purchase fitted or adjustable (flat bill or curved) caps, and even knit cap beanies. However, you want to be sure to shop with a trusted online retailer. Listed below are our favorite online retailers who are both reliable and trustworthy with a 20+ year track record for outstanding customer service. Looking for sporty big and tall apparel from fashionable name brands? We feature the best online retailers who carry big and tall Nike, big and tall Adidas, and Under Armour 3X, 4X, 5X, 6X, XLT-5XT tee shirts, hoodies, jackets, tank tops and more. Find the big and tall outlet gear that comes with deep discounts and cheap clearance sales apparel in the sizes that you need. 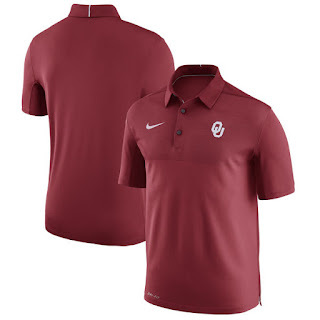 The Nike polo shown above is available in big and tall sizes. They are available with just the Nike logo, or you can choose your favorite team. They carry Nike polo shirts for all professional sports teams as well as 500+ college sports teams. We all want the name brands, but all too often they are expensive. So, many of us thrifty shoppers choose to find a cheap alternative. Cheap discount big and tall outlet stores offers the best of both worlds. You can purchase the name brand apparel from name brands like Adidas, Nike and Under Armour but without the hefty price tag. The retailers listed below all carry clearance sections that have deep discounts 7 days a week, 365 days a year. Delivery fee - $4.99 flat rate fee. However, they usually have a free shipping promotion that will give you free (you can't get cheaper than that) shipping if you spend over $30. Adult men's sizing : S, M, L, XL, 2X, 3X, 4X, 5X, 6X, XLT, 2XT (2XLT), 3XT (3XLT), 4XT (4XLT), 5XT (5XLT). Women's adult sizing : XS, S, M, Plus medium, L, Plus Large, XL, Plus 1X, Classic fit 2XL, plus fit XXL, classic fit 3X, Plus fit 3XL, and plus 4X. Sports Fanatics - The next best option for big and tall outlet clothing for name brands like Adidas, Under Armour, Nike, Majestic, etc... is Sports Fanatics. They have an excellent selection of team apparel for all professional sports teams as well as most college sports programs. Have you seen the new Detroit Lion jerseys that the team will be wearing in 2017 and beyond? We think that they are very sharp. They will be wearing 4 jerseys that have a similar "look" as traditional Lion jerseys but have a more modern and sleek look that fans should love. You can already pre-order these jerseys from leading Online retailers (made by Nike). It's safe to say that these NFL jerseys will be a hit with their fans and should be a part of every die hard fan's wardrobe. Barry Sanders was one of the most dynamic running backs of all time. He would dazzle fans at the Silverdome with his jukes, spins, and dynamic cuts on the field. Prognosticators just love to debate on what his final numbers would have looked like if he didn't retire while he was still at the top of his game. Would he be the all time leading rusher? We can only debate this. One thing is for sure, he sure would have looked great shredding defenses in one of these modern uniforms! Fans Edge - The Barry Sanders "New Style" Detroit Lions jersey is available for both men and women. Relive the past, while embracing the future by wearing a throwback legend in a modern day Detroit Lions jersey. 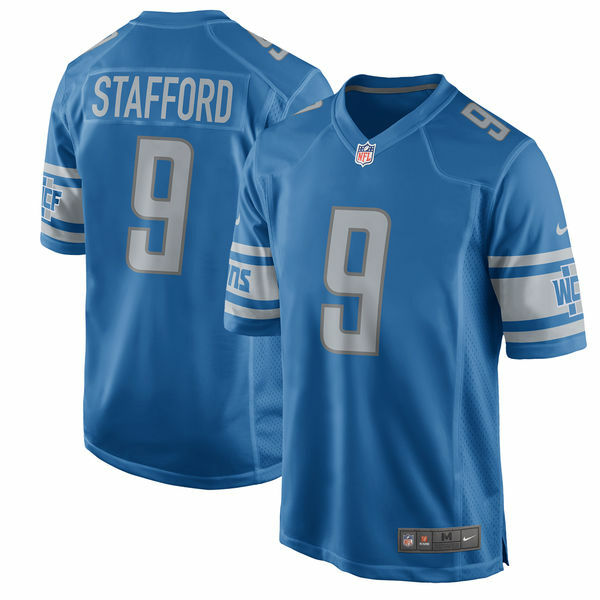 They also carry Detroit Lion tee shirts, hoodies, jackets, and tank tops (men's big and tall, and women's plus sizes included). Delivery fee - $4.99 flat rate fee for standard delivery. Order tracking - Email alerts, text notifications, customer call center and online tracking status updates in your customer account dashboard panel. NFL Fan Shops - This is a great alternative for NFL sports apparel.. Be the first of all your friends to own one of the new Detroit Lion uniforms. Their jerseys are available in home, away - white, blue, or gray style jerseys. They offer the new style jerseys for many players on the team, including former Detroit Lions legend Barry Sanders. They also carry big and tall NFL jerseys for each team in the league.